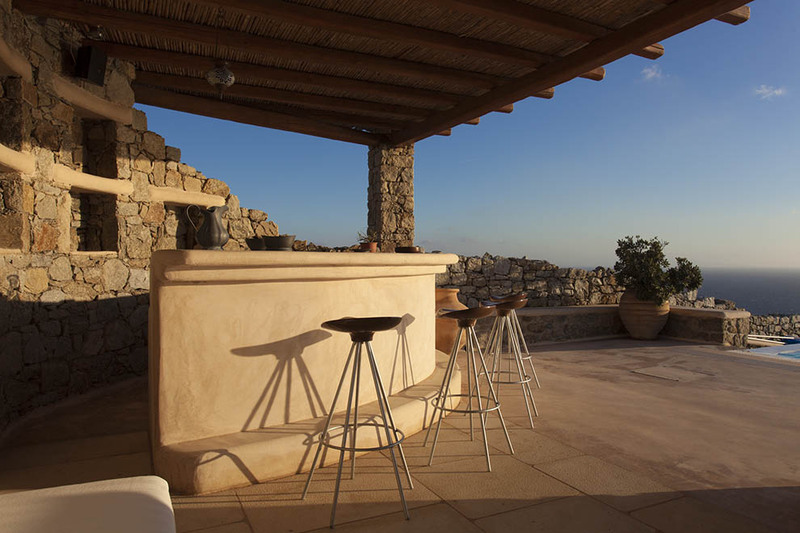 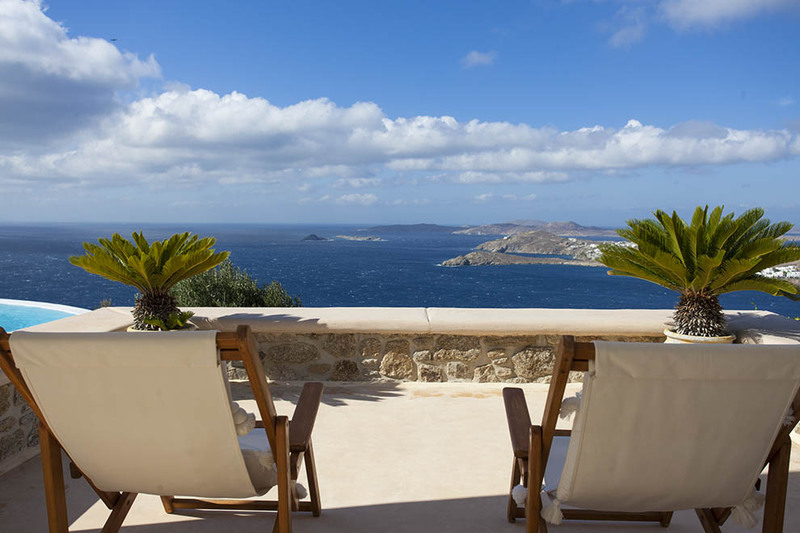 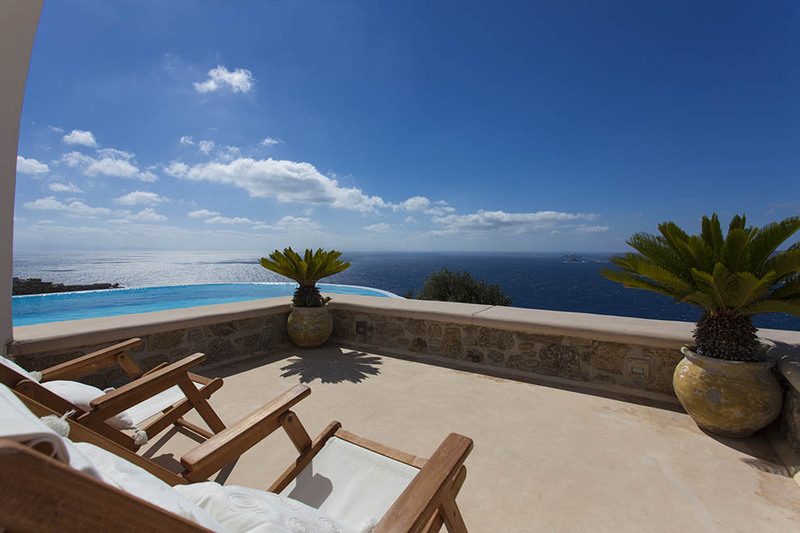 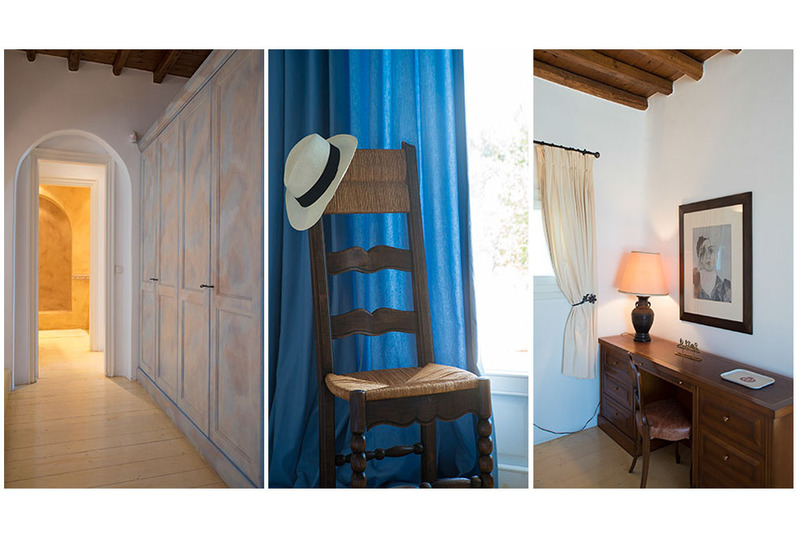 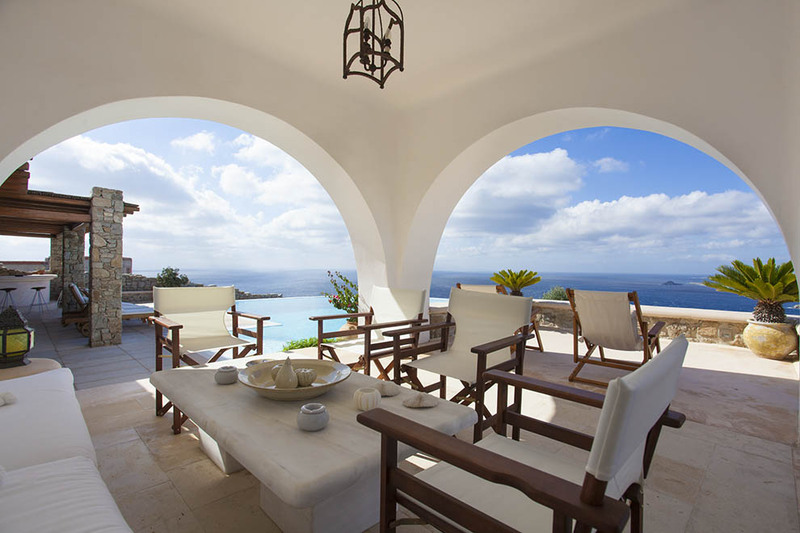 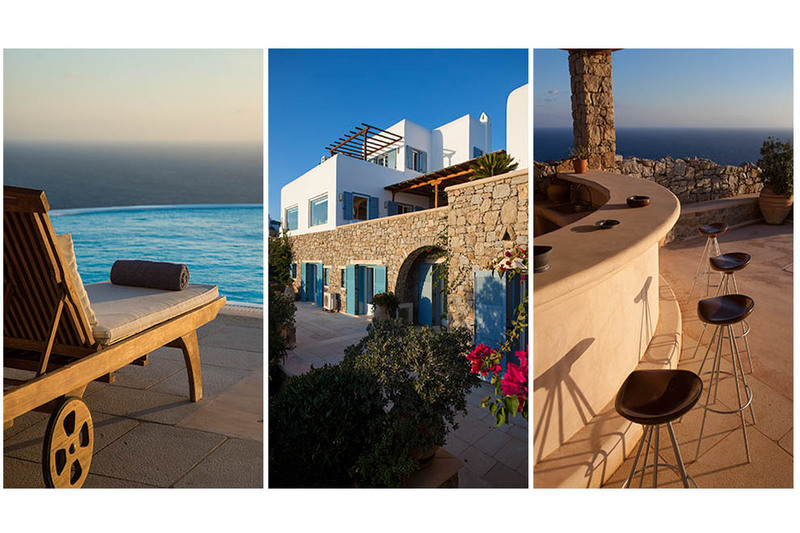 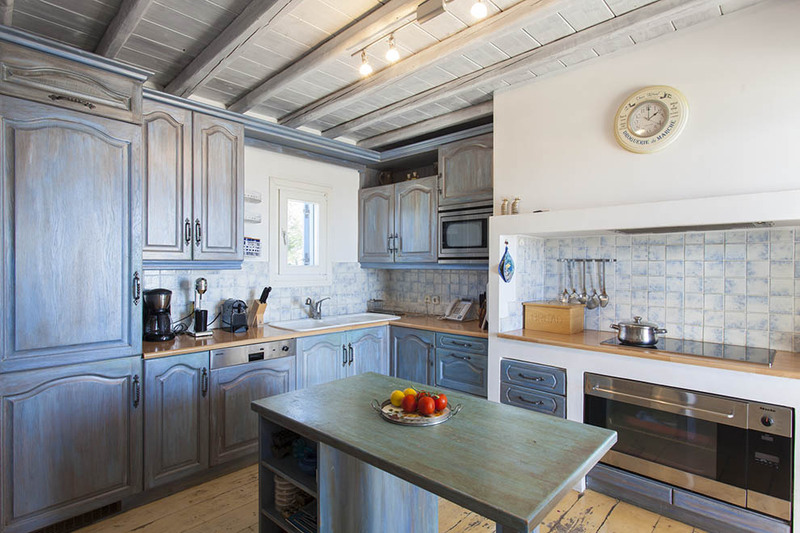 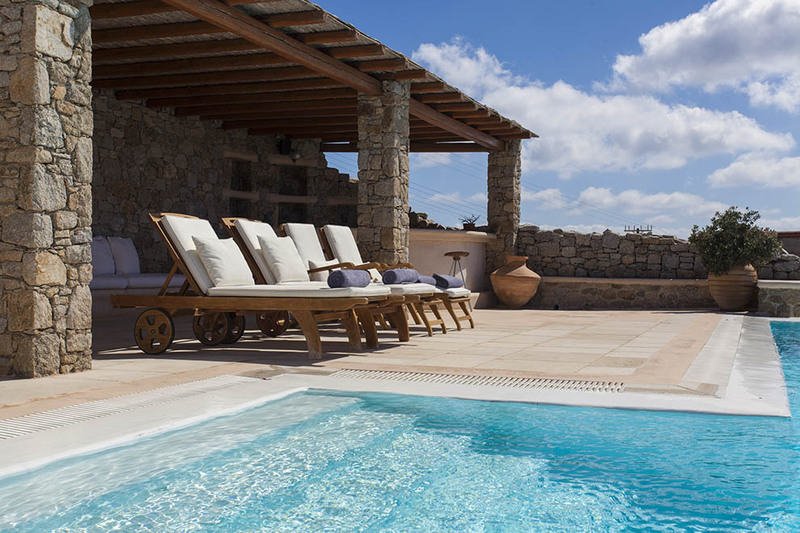 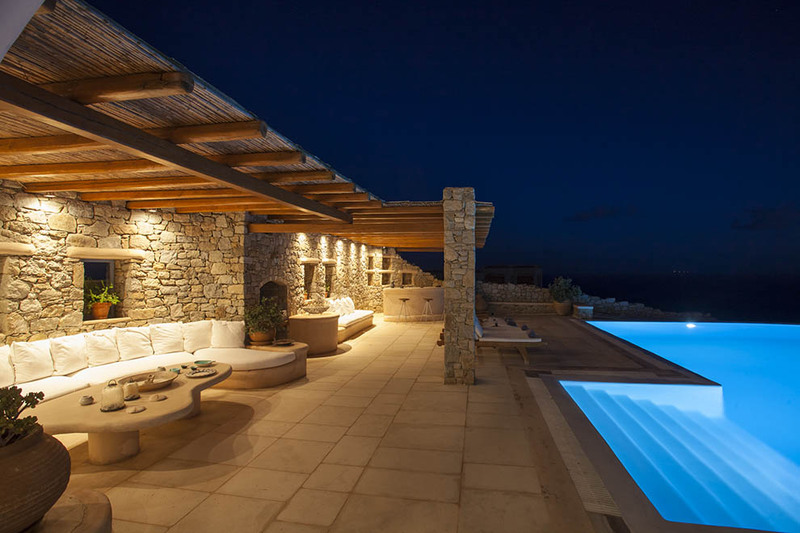 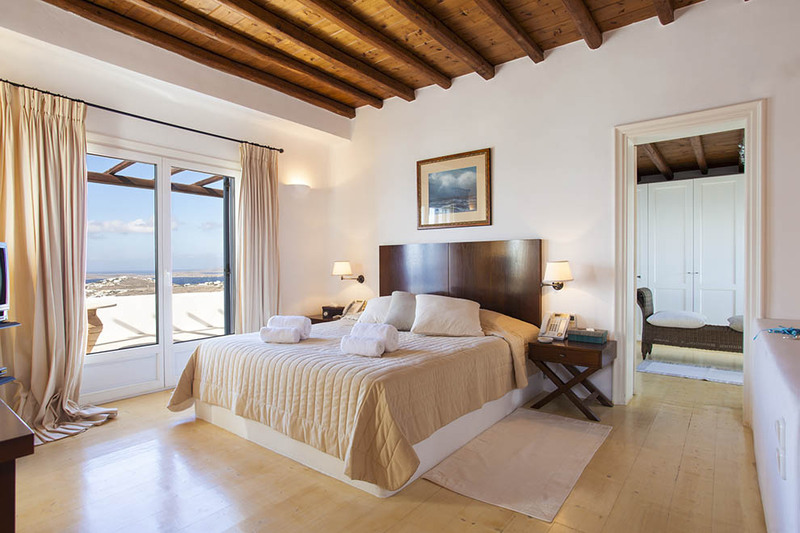 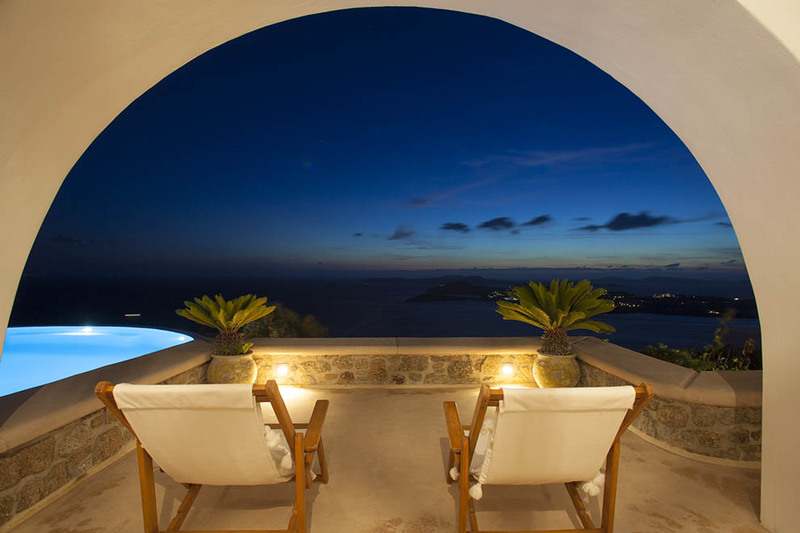 Villa Sunset is an impressive private villa which is located at the private area of Saint Lazaros, which offers an absolutely breathtaking panoramic view of the Aegean Sea, the ancient island of Delos and the opposite Cycladic islands. 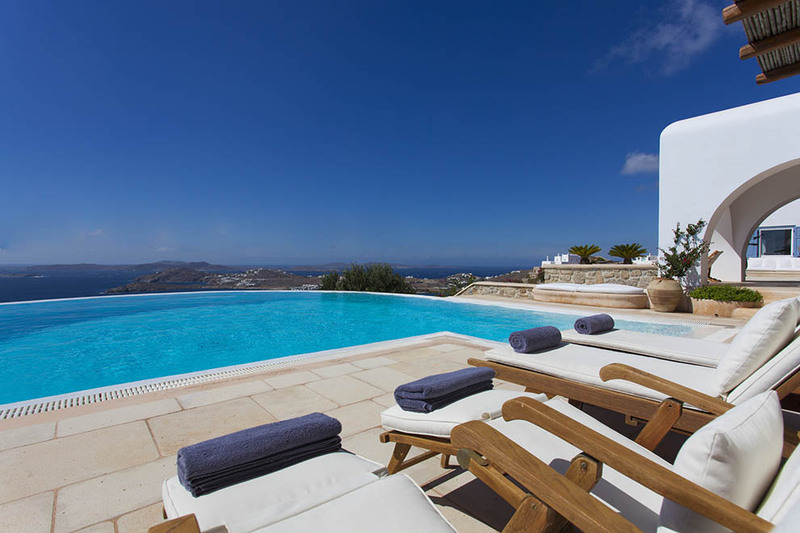 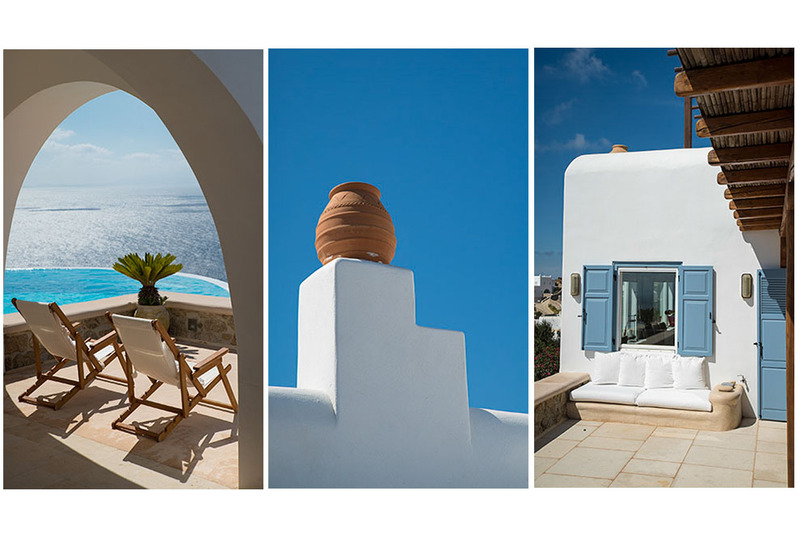 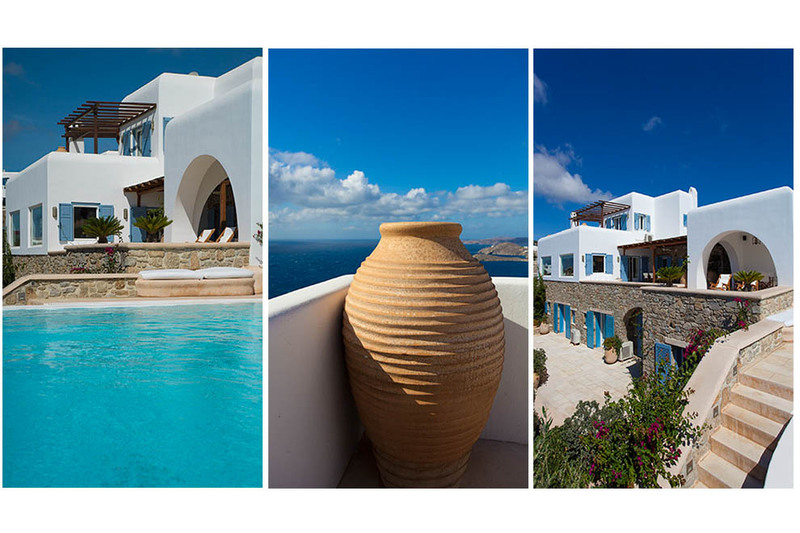 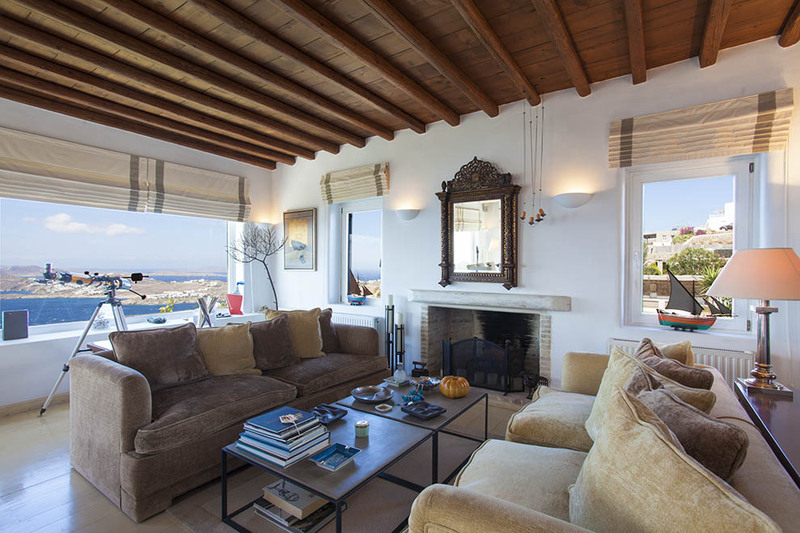 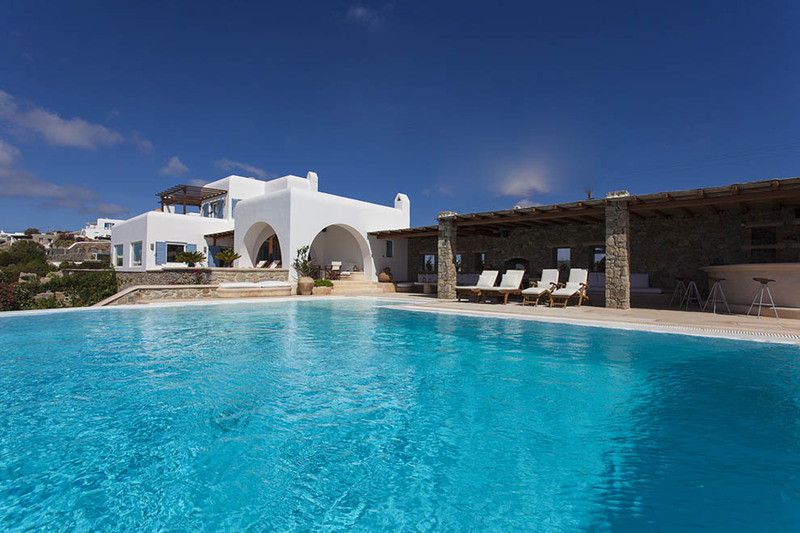 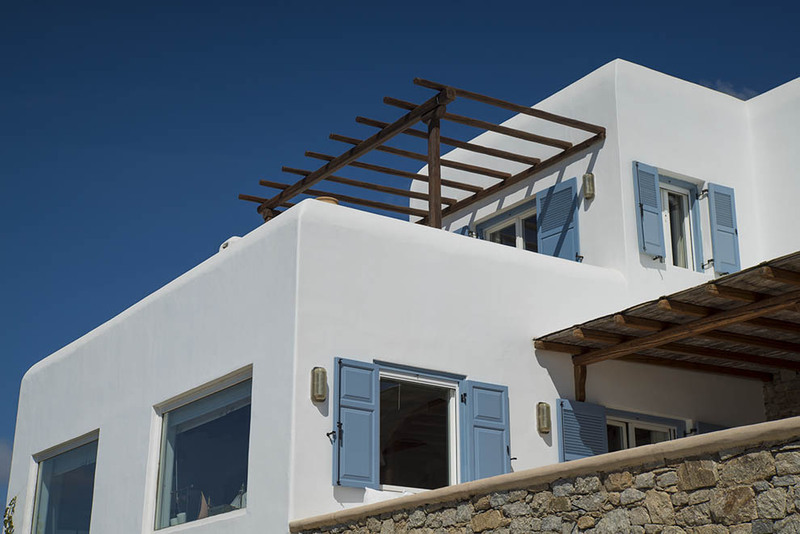 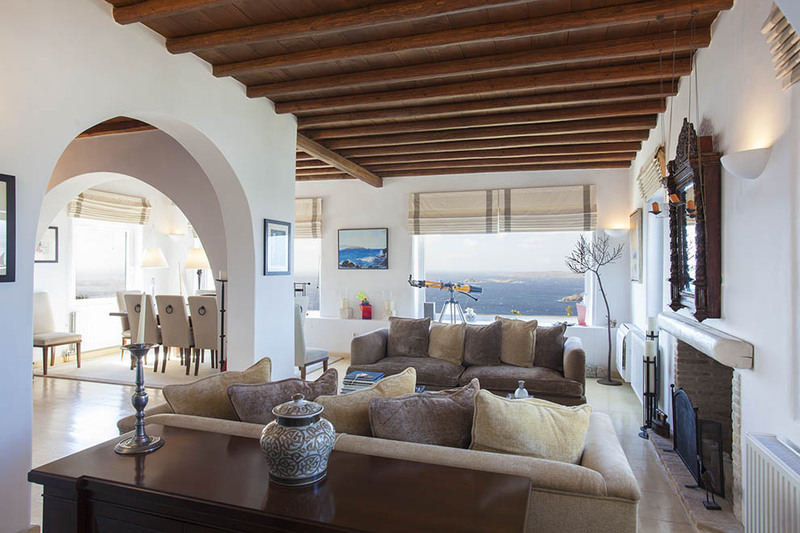 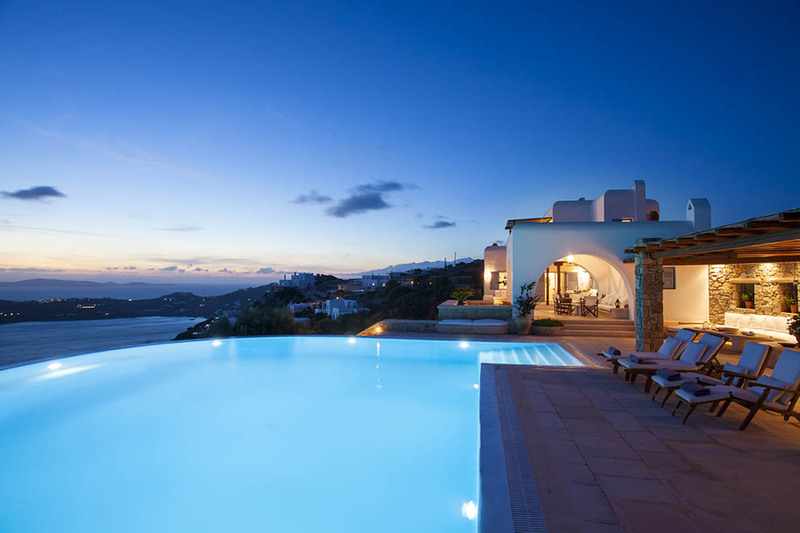 In close proximity to the popular and cosmopolitan beach of Psarrou as well as the picturesque Mykonos Town, Villa Sunset is the ideal choice for those who want to witness the most magical and colorful sunsets of Mykonos. 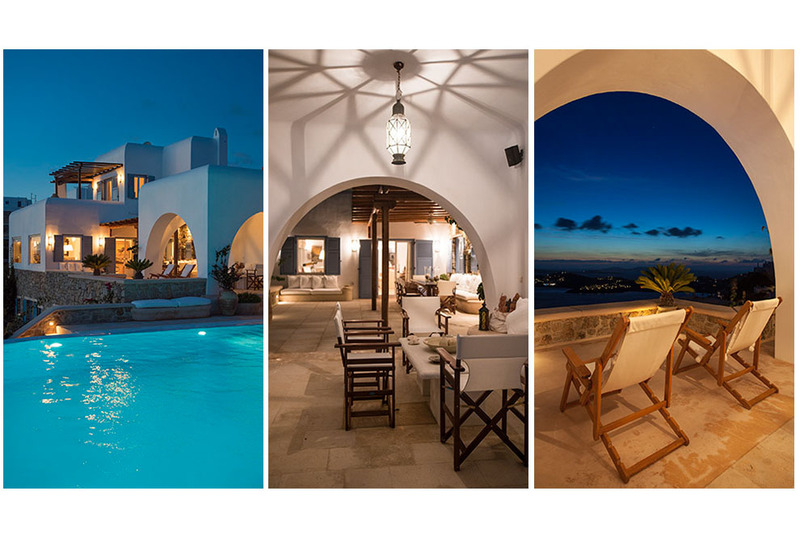 The villa Sunset is a private property of exceptional construction, exquisite architecture and unique decoration, even to its smallest corner or most delicate detail. 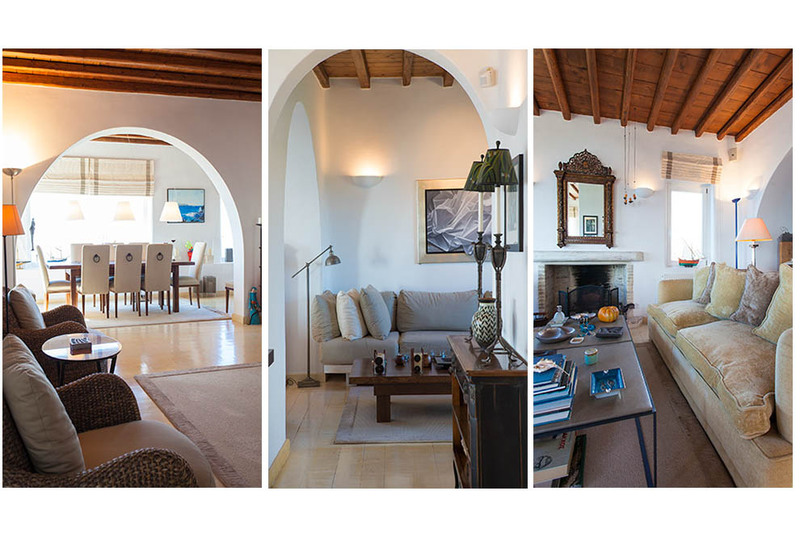 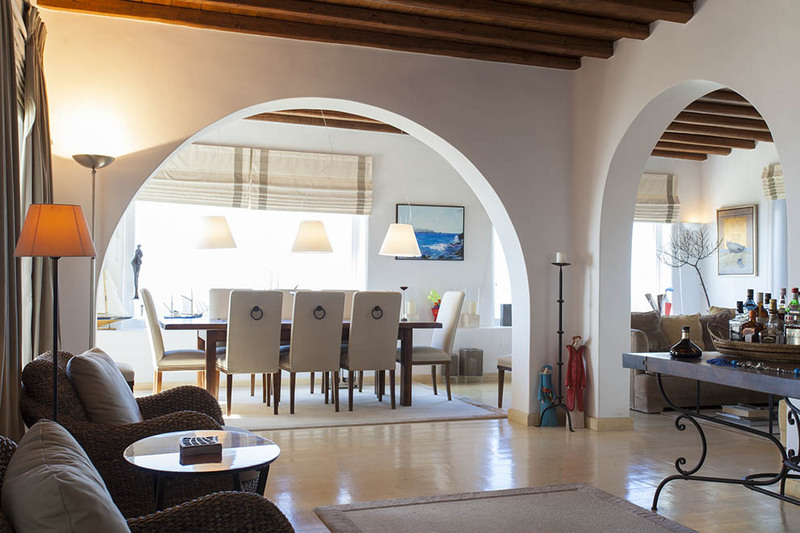 In its inner areas, an elegant and airy style dominates with furniture of famous designers and works of art of well-known artists. 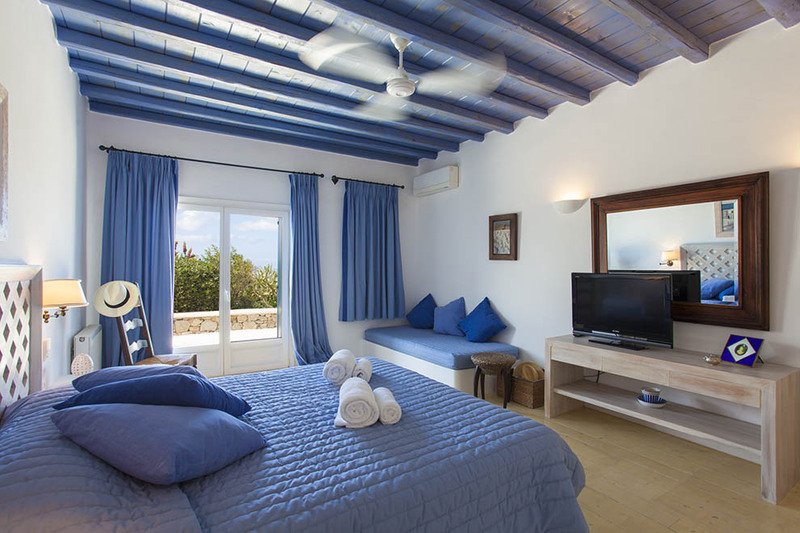 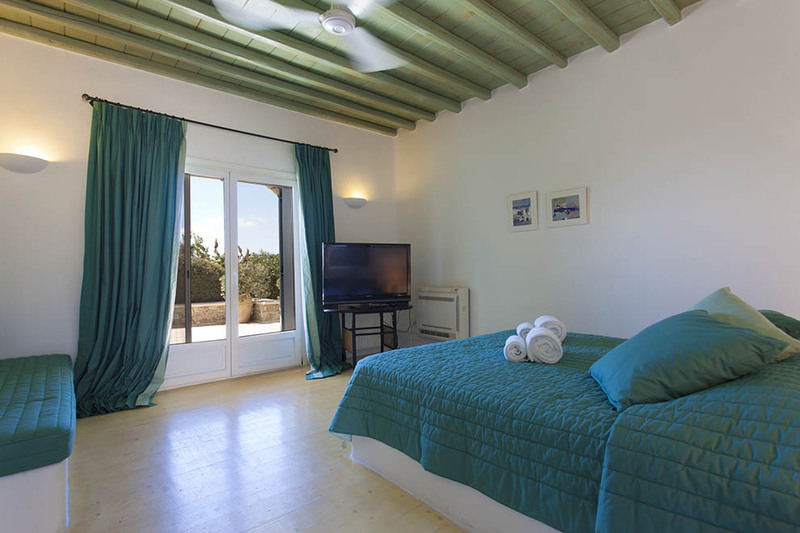 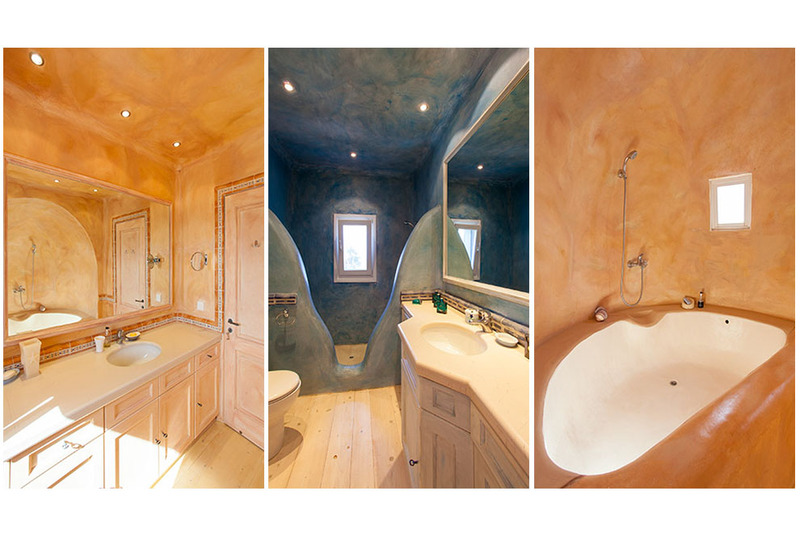 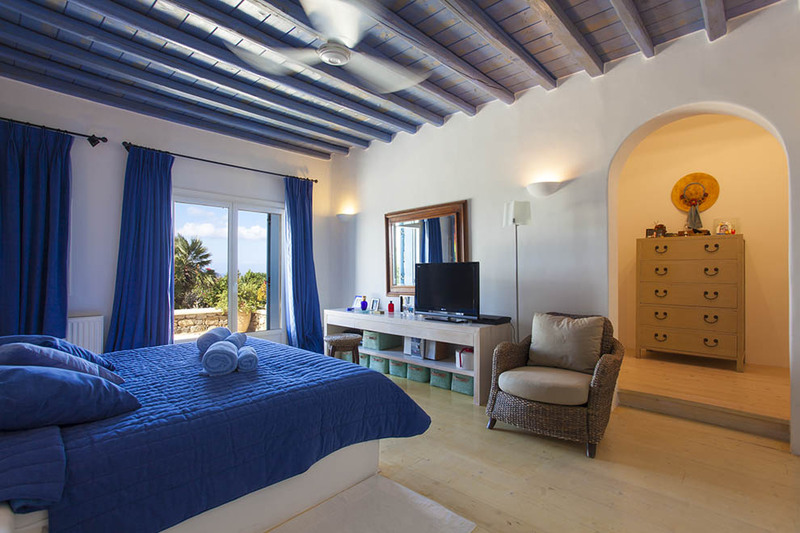 The tastefully decorated master bedrooms are bright and spacious and are pleasantly painted in different color combinations, while the bathrooms are designed in Stucco Veneciano style and are a real piece of art. 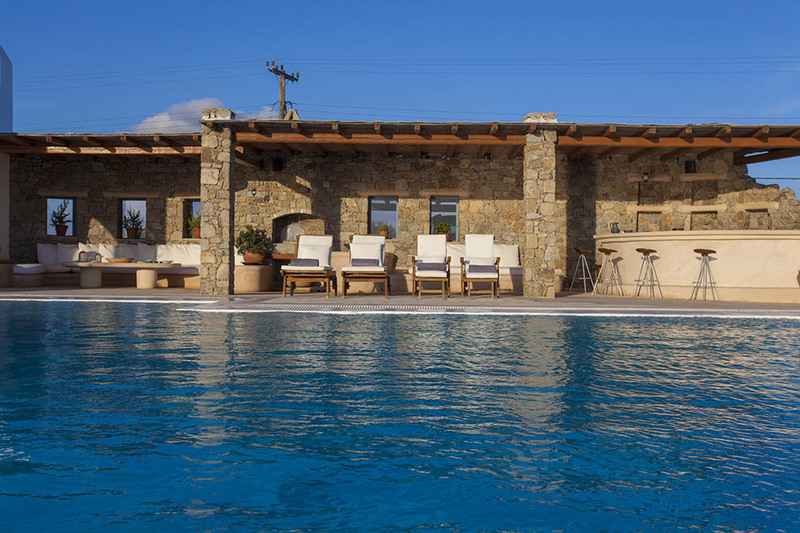 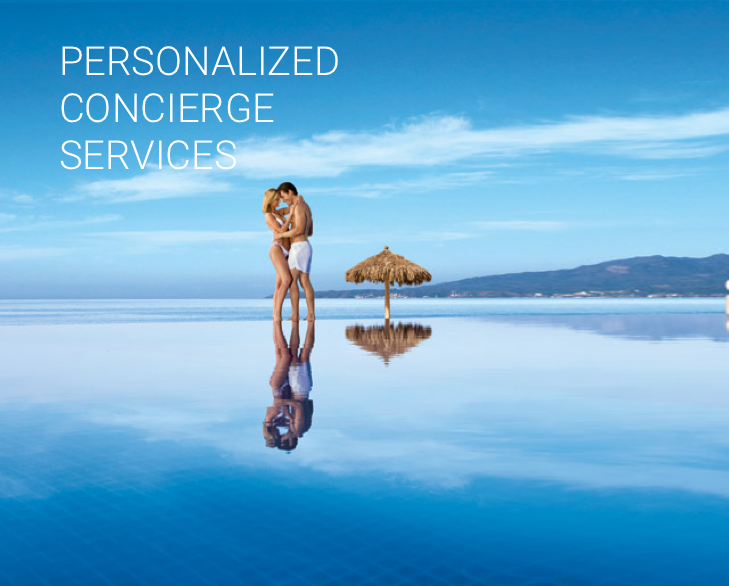 The villa offers one-of-a-kind facilities and has all the necessary amenities ready to please even the most demanding guests. 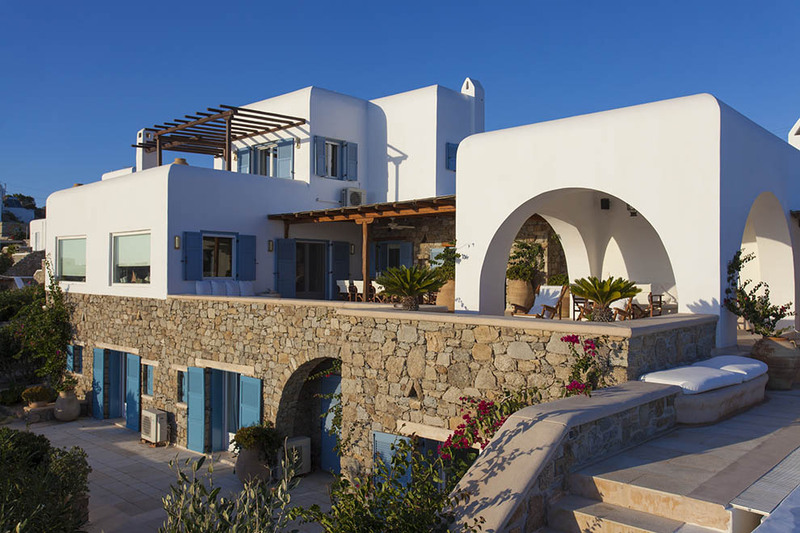 Moving on to the exterior part of the villa, it has numerous outdoor sitting areas perfect for private relaxing moments or for special social gatherings. 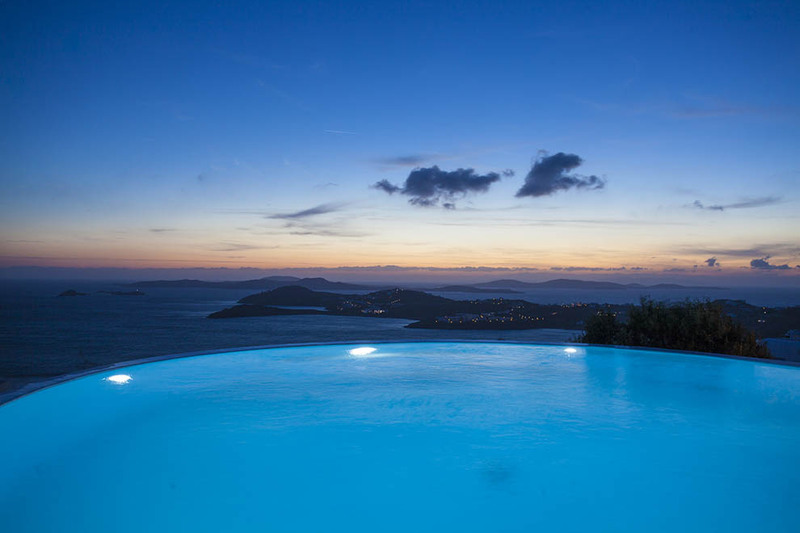 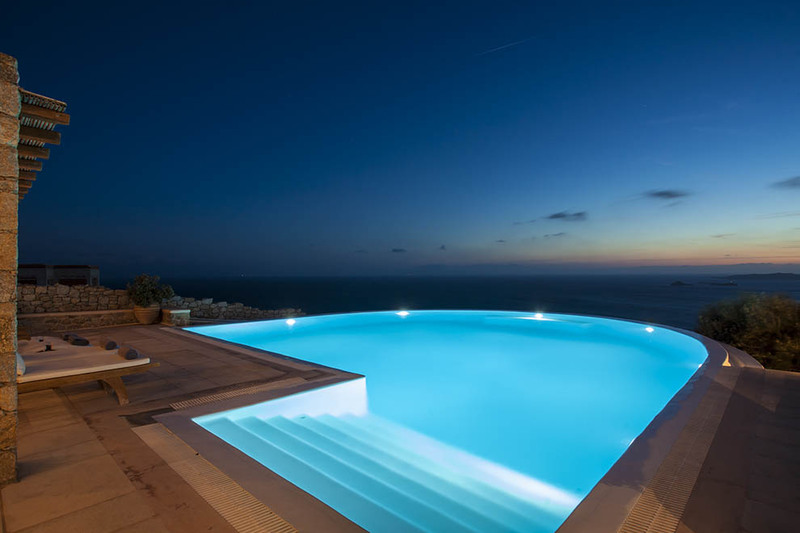 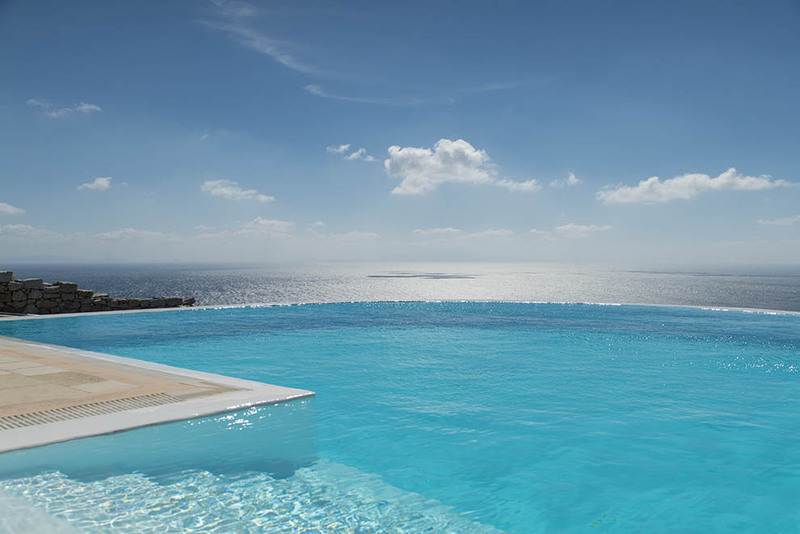 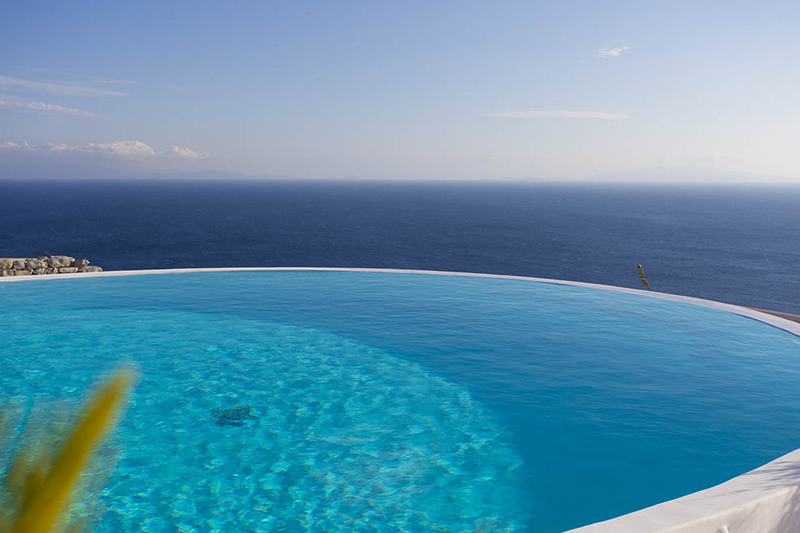 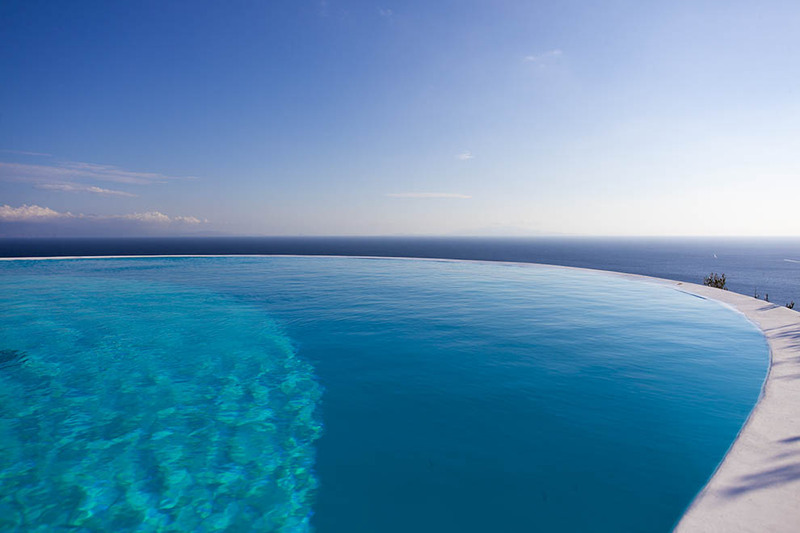 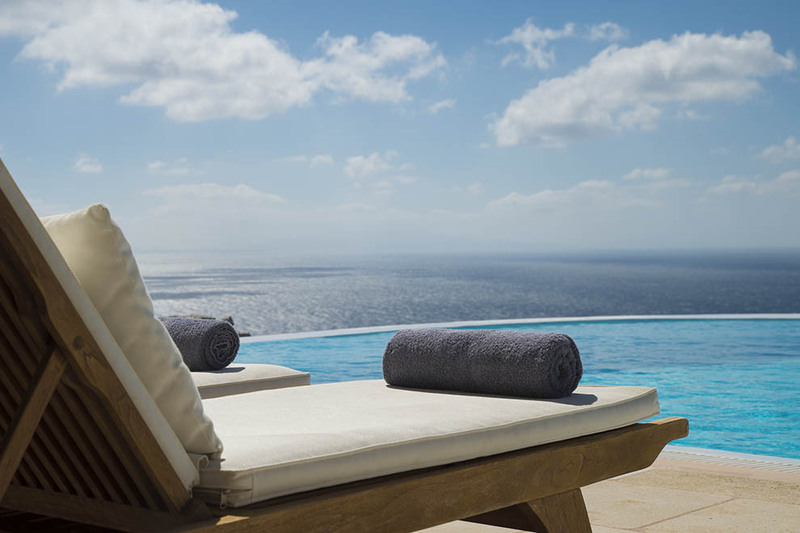 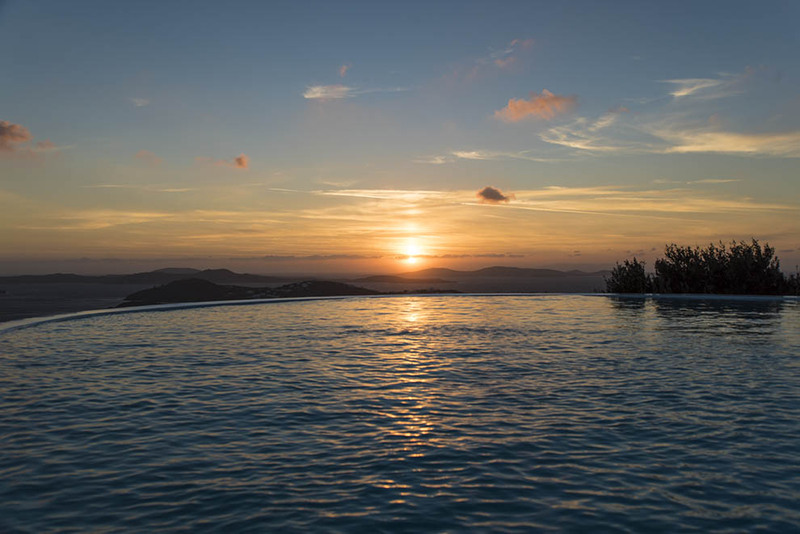 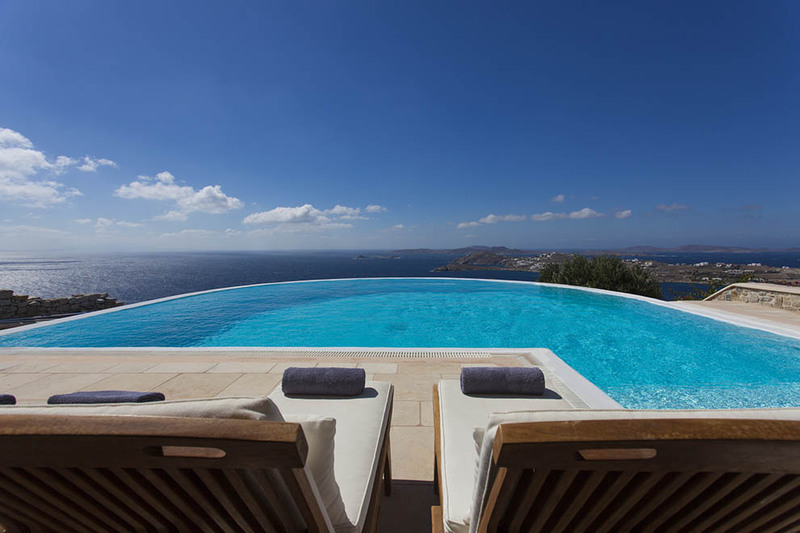 The amazing infinity pool, along with its sun beds, will ensure that the guests of the villa have wonderful moments under the Greek sun, gazing at the eternal blue of the Aegean Sea that stretches as far as the eye can see. 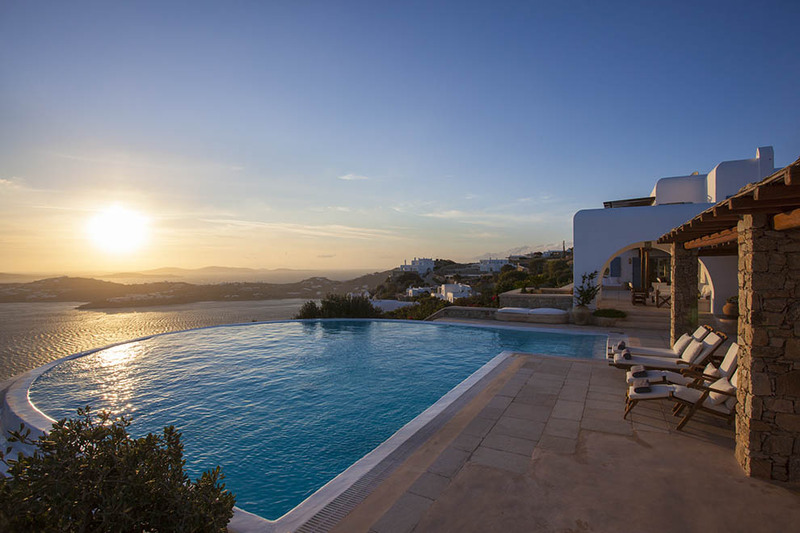 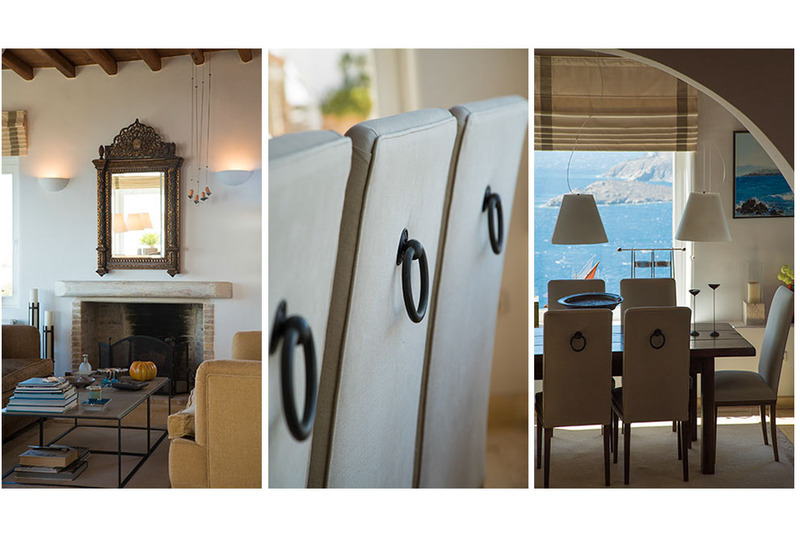 With its magnificent high aesthetics, up-to-date facilities and absolutely unforgettable views, Villa Sunset grants the ultimate comfort and privacy, incomparable hospitality and a whole dreamy experience for its guests.